These resources are free for the use of registered YCW and Impact Groups. They do incur some costs for the YCW to produce them, so we would be grateful if you would consider donating to help us continue our work. Thank you. If you are not a registered group and would like to do so please contact the HQ at 0161 8726017 or email at info@ycwimpact.com. Based upon the YCW prayer this is used by Impact groups. This is an Advent liturgy resource which offers a guide for YCW and Impact groups to run and lead an Advent service with a particular focus on justice and peace. This is the prayer used daily by YCW members all over the world which commits them to the mission and values of the movement. The process to beatify our founder Joseph Cardijn has been started in Belgium. YCW members are encouraged to say this prayer to ask God to guide this process. An important element of a group is the Gospel Enquiry. This is where a piece of Scripture is chosen and the group discuss it in detail including how it calls them to action. This guide helps a young person lead this discussion and adults accompanying it. The Review of Life is central to a YCW or Impact group. It is often a good idea to rotate the person who chairs this discussion. This guide offers advice and tips for a young person chosen to lead the Review of Life. It is also a guide for companions on how to accompany the conversations. 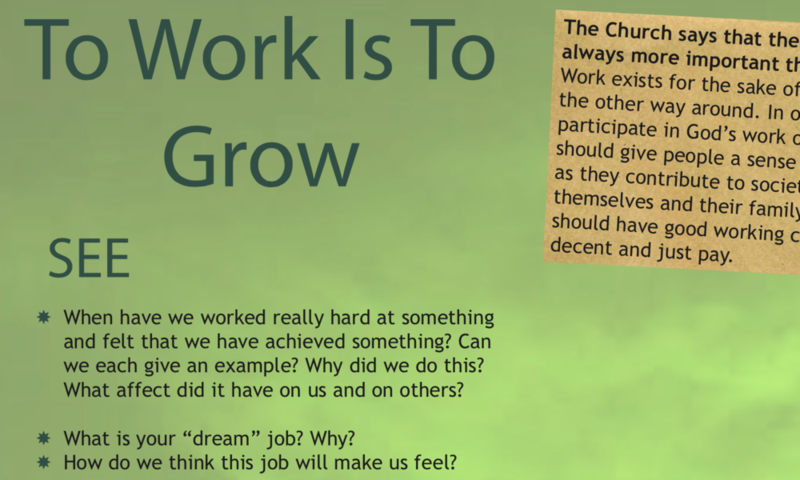 A resource for older teenagers which focuses on the dignity of work including extracts from Scripture and Catholic Social Teaching. Part of the same series of resources for older teenagers, this focuses on the dignity of human life, another important theme of Catholic Social Teaching. 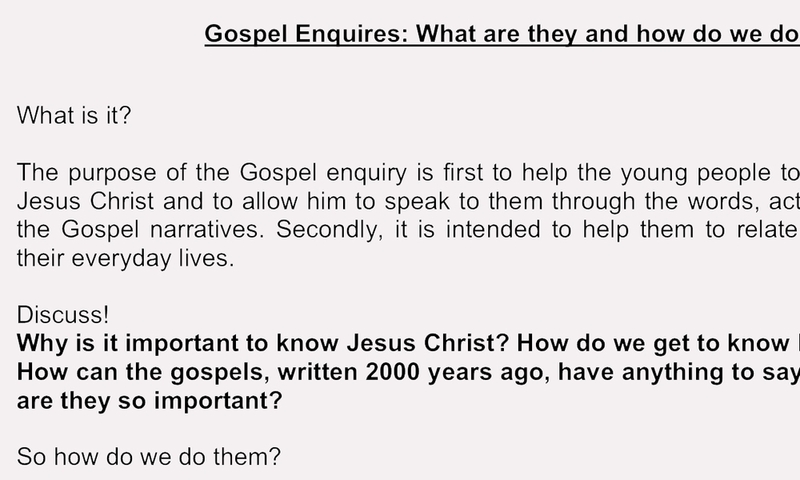 A Gospel Enquiry based on Mark's Gospel account of Jesus' Temptation in the Wilderness. One way in which the YCW and Impact groups promote leadership is through the appointment or election of a President, Secretary and Treasurer of each group. This is a promotion leaflet for the YCW and Impact. To receive copies of this for your parish or school, please contact the YCW Headquarters. A resource about the role of politics in our society and the need for young people to make their voice heard. A resource about the Living Wage. Central to our movement is the idea that a hard days work deserves a fair days pay. A Lenten "Review of Life" resource for Groups to use. 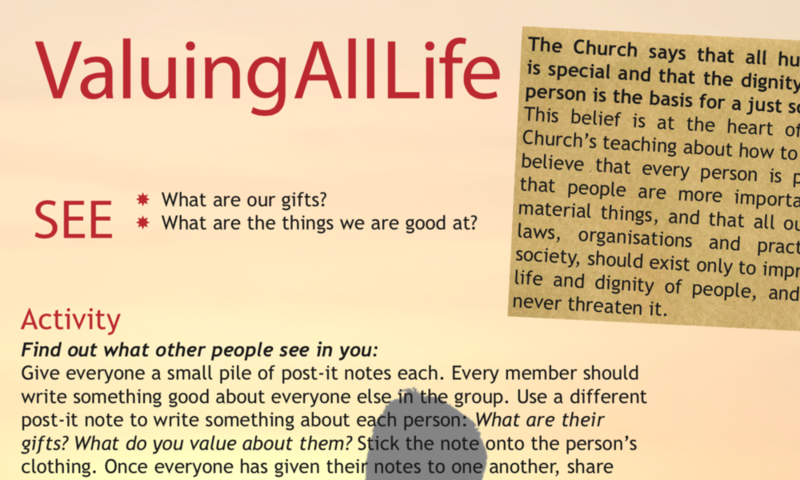 An Advent “Review of Life” resource for Groups to use.